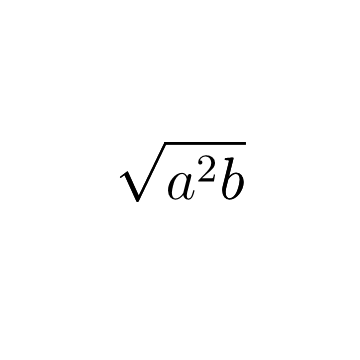 I would have expected the two square roots to be right on top of each other. The same sizes show up using pure Latex. I do not see any difference. But I think your question is really about Latex itself and not Matex, which just compiles using Latex. Not the answer you're looking for? 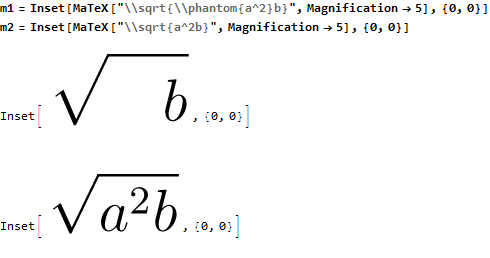 Browse other questions tagged output-formatting latex matex or ask your own question. 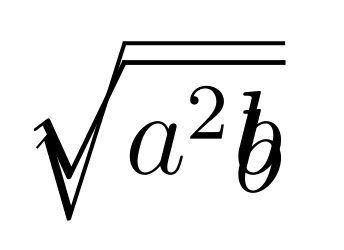 Is there a function or option to collect factors under one radical sign? How to add/insert a well aligned graphics on top of another one? 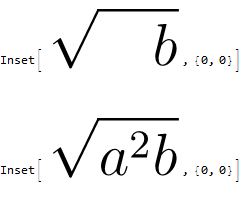 How can I convert from a set of lists to equations in the form LaTeX?